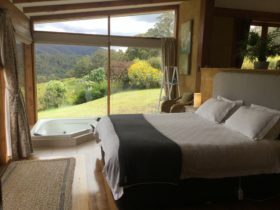 Donalea provides two bed and breakfast rooms and a two bedroom self catering apartment overlooking beautiful gardens with glorious views of the Huon River. 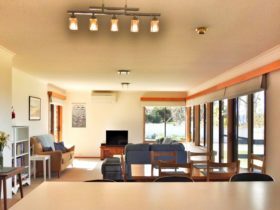 This grand old 1920’s home has been lovingly restored and provides modern facilities whilst retaining features of a bygone era. 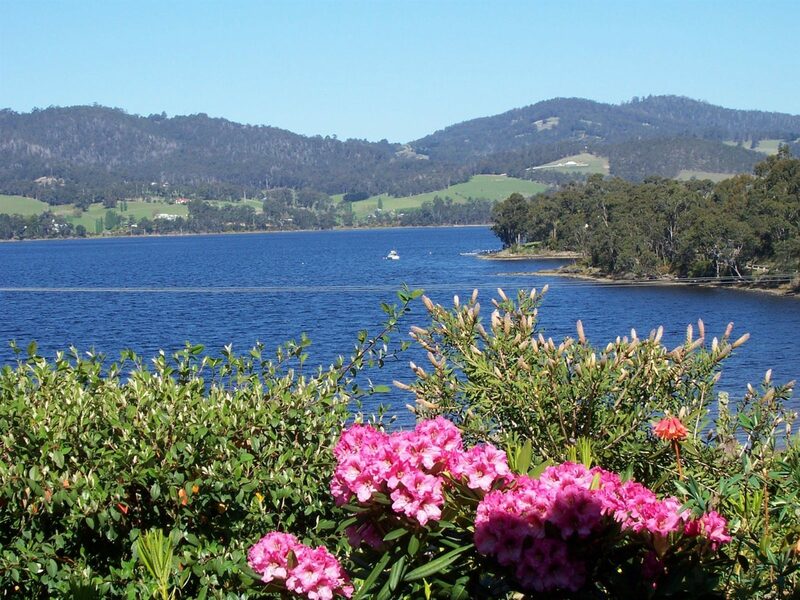 Located just a 40-minute drive south of Hobart, we are central to many of the region’s attractions and a wonderful base for your Huon Valley accommodation. 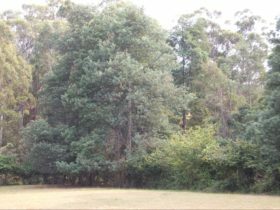 Both bed and breakfast and self-contained accommodation options are offered, with two ensuite B&B rooms and a self catering two bedroom apartment. The choice is yours. 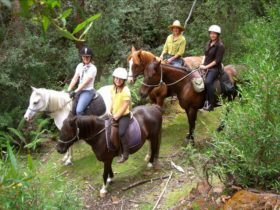 All accommodation has private entrances and there are no shared areas with the hosts. 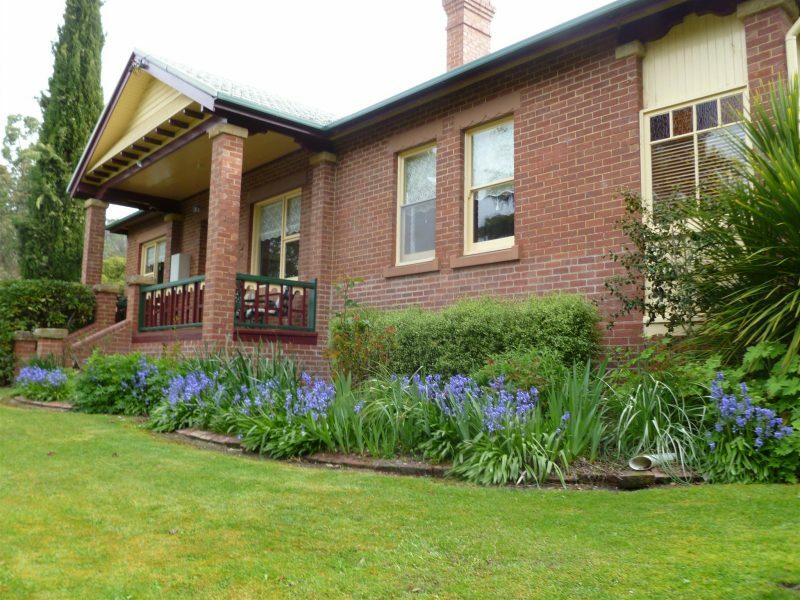 In the Bed and Breakfast, you have your own spacious, guest lounge with log fire, television, DVD and video, with a complimentary movie library and a separate dining room. Free Wi-Fi also available. 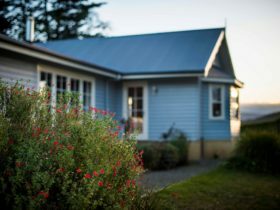 Donalea really is a private country retreat, a garden lovers delight and a perfect place to unwind, relax and enjoy all the Huon Valley has to offer. 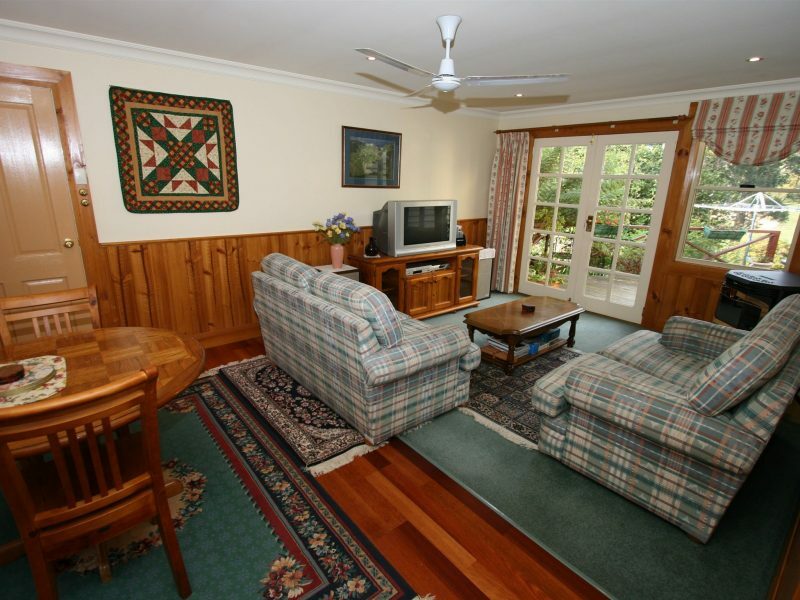 Large room with huge ensuite (size of a bedroom) and separate powder room overlooking the cottage gardens. 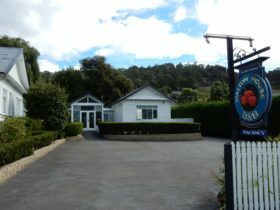 Accommodation includes 2 toilets, spa and walk in shower.